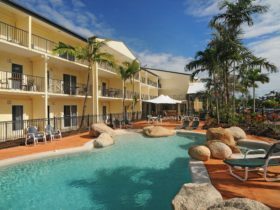 Perfectly positioned on the Cairns Esplanade and featuring stunning views of the Coral Sea, Vision is 5 star luxury accommodation. 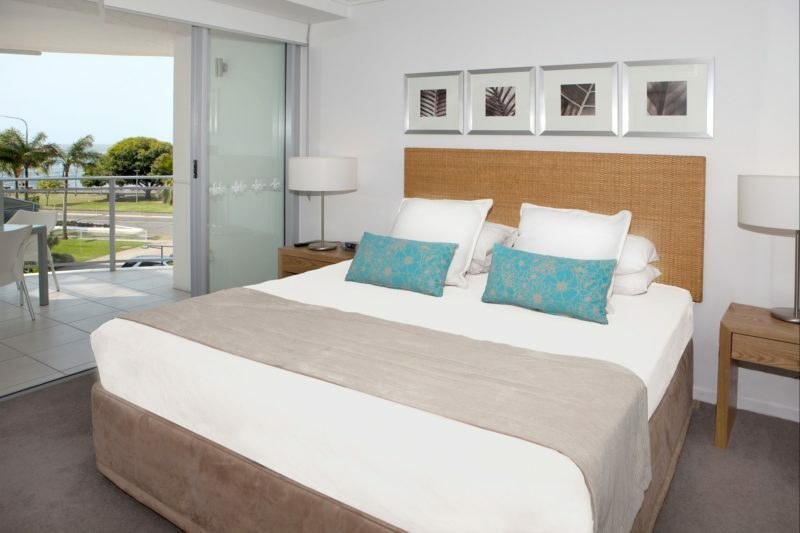 Vision provides contemporary relaxed surroundings with modern city lifestyle and their professional, friendly management are committed to ensuring that your stay is both enjoyable and comfortable. 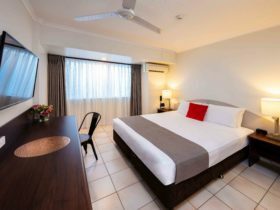 Accommodation ranging from their modern, fully self contained one, two and three bedroom ocean and mountain view apartments, deluxe penthouse suite and poolside penthouse apartments. Apartments serviced daily. Set amongst their lush tropical gardens, Vision also boasts two swimming pools, spas, gymnasium, steam room, massage room and shaded barbecue facilities located by the lagoon pool. 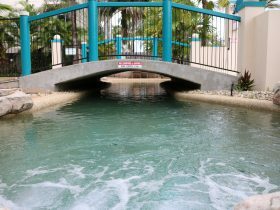 Step directly outside onto the award winning Esplanade and experience the stimulating living experience found only within Cairns. 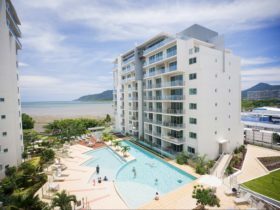 Just minutes walk to all Cairns has to offer you can take a dip at the lagoon, stroll to the Marina and shops or dine at the selection of alfresco restaurants, cafes and bars. Spacious fully self-contained one bedroom, one bathroom luxury apartment offering Esplanade, Ocean or Garden views. Featuring open plan living, floor to ceiling glass sliding doors to spacious balcony with alfresco dining, ensuite bathroom, a main bathroom, fully equipped kitchen, laundry, free cable television, wi-fi, flat screen televisions and DVD player. Free daily service (views on request – nil guarantee). 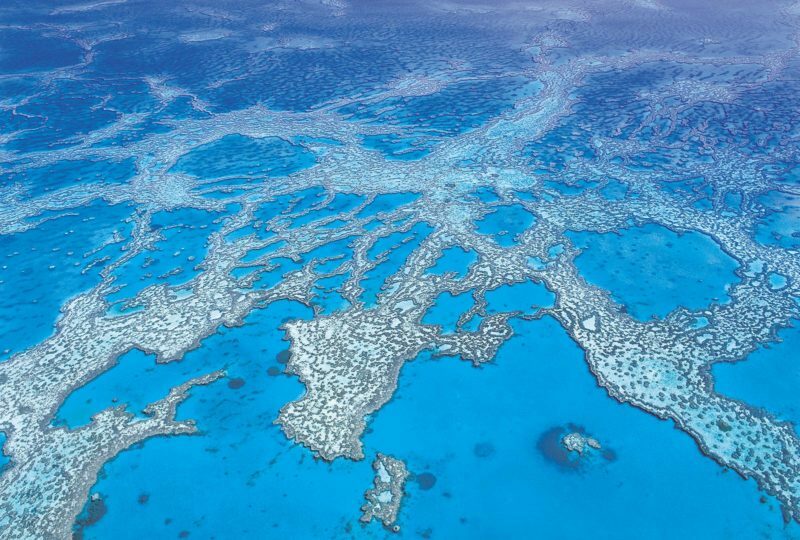 Offering partial views of the tropical mountain ranges and Cairns City. Spacious fully self-contained two bedroom, two bathroom luxury apartment featuring open plan living, floor to ceiling glass sliding doors to spacious balcony with alfresco dining, ensuite bathroom with bathtub and separate shower, second bathroom, fully equipped kitchen, laundry, free cable television, wi-fi, flat screen televisions and DVD player. Free daily service. 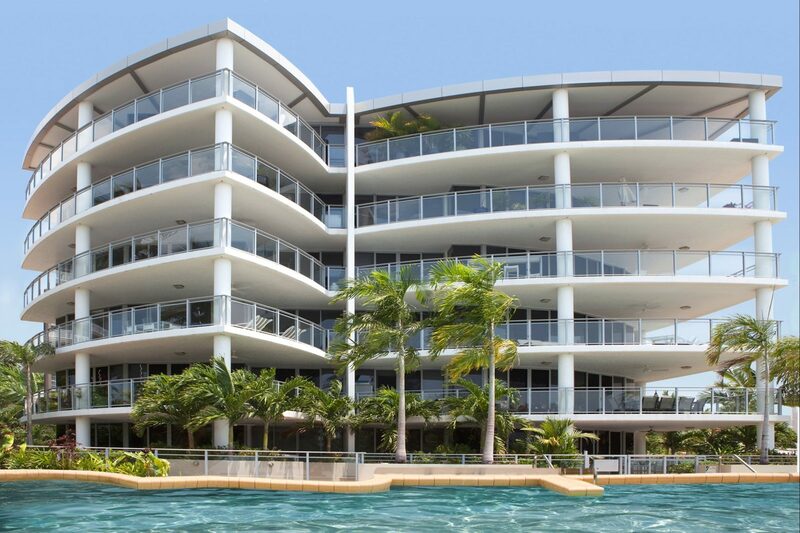 Spacious fully self-contained two bedroom, two bathroom luxury apartment offering Esplanade, Ocean or Garden views. 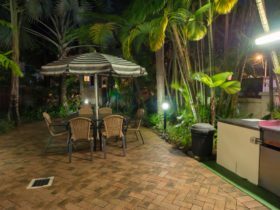 Featuring open plan living, floor to ceiling glass sliding doors to spacious balcony with alfresco dining, ensuite bathroom, a main bathroom, fully equipped kitchen, laundry, free cable television, wi-fi, flat screen televisions and DVD player. Free daily service (views on request – nil guarantee). 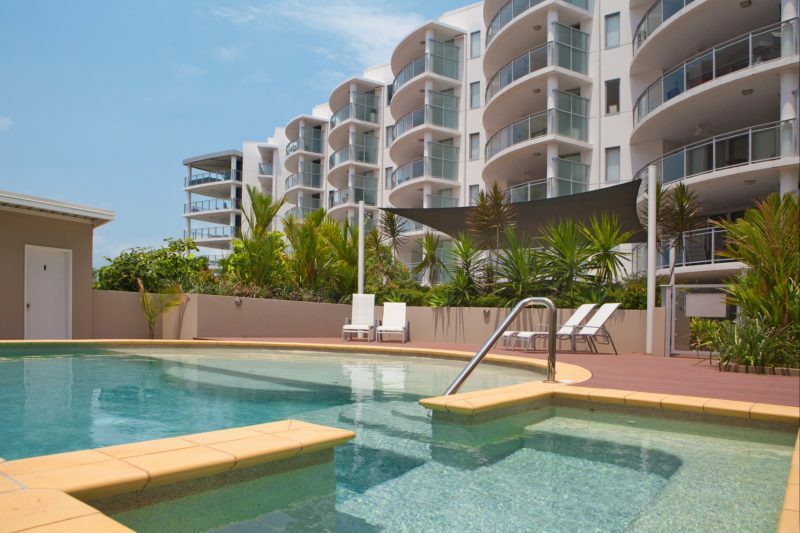 Spacious fully self-contained three bedroom, two bathroom luxury apartment offering Esplanade, Ocean or Garden views. 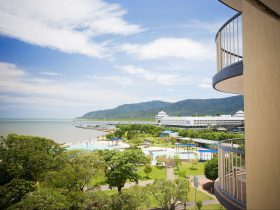 Featuring open plan living, floor to ceiling glass sliding doors to spacious balcony with alfresco dining, ensuite bathroom with freestanding bathtub and separate shower, second bathroom, fully equipped kitchen, laundry, free cable television, wi-fi, flat screen televisions and DVD player. Free daily service (views on request – nil guarantee).